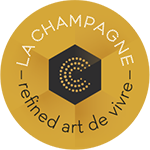 The champagne designation links it with its geographical origin and makes it subject to rules of production and manufacturing. It expresses the close link between a product and its terroir, coupled with the decisive and enduring impact of human savoir-faire. Pruning: the most fundamental of all the vineyard tasks. Precise, manual, expert pruning is essential for the quality of the harvest. Pruning commences as soon as the leaves start to fall and continues until late March. Harvest and pressing: The harvest in Champagne region generally occurs between mid-September and October depending on the climate conditions and grape varietals. Grapes are hand harvested in order to ensure that the grapes are brought in clean and undamaged. The grapes are stored cautiously to prevent from oxidation and carbonic maceration. These boxes are quickly transported to the pressoir. Fermentation: the primary fermentation takes place immediately after pressing, usually in stainless steel tanks. The grape musts will transform grape juice into wine with a primary, or alcoholic, fermentation followed by a malolactic fermentation, process that transforms malic acid into lactic acid. Blending Process: The blending process at the heart of Champagne winemaking plays on the diversity of nature, combining wines from different crus (growths), different grape varieties and different years. A vintage Champagne commemorates a truly exceptional year by including no reserve wines at all. 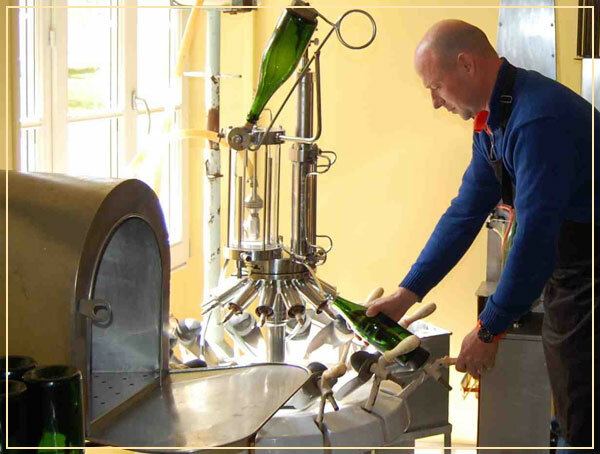 Bottling: by adding a sweet solution known as the ‘liqueur de tirage’, the champagne kick-starts the effervescence. Once filled, the bottle is hermetically sealed with a polyethylene stopper known as a ‘bidule’, held in place by a wire cage/metal cap. Secondary Fermentation: Inside the bottle, the wine undergoes a second fermentation that continues for 8 weeks. The yeasts consume the sugar, releasing alcohol and carbon dioxide, along with esters and other superior alcohols that contribute to the wine’s sensory profile. Maturation on lees is a continuous process. The greatest Champagne wines can spend several decades maturing in the Champagne cellars. All Champagne wines must spend at least 15 months in the bottle before release, of which 12 months maturation on lees is required for non-vintage cuvees. The minimum for vintage cuvees is three years. Remuage/Riddling: Once the champagne has completed its extended lees ageing and is ready to be bottled it will go through a process known as “remuage” (riddling). 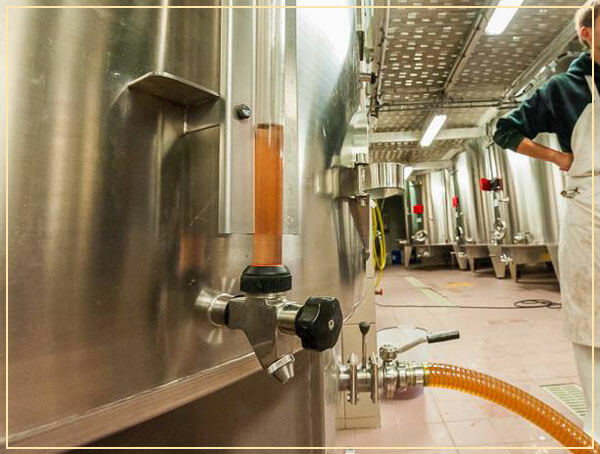 This process causes the sediment to collect in the neck of the bottle in preparation for disgorgement: the ejecting of the sediment under pressure that then leaves the wine perfectly clear. 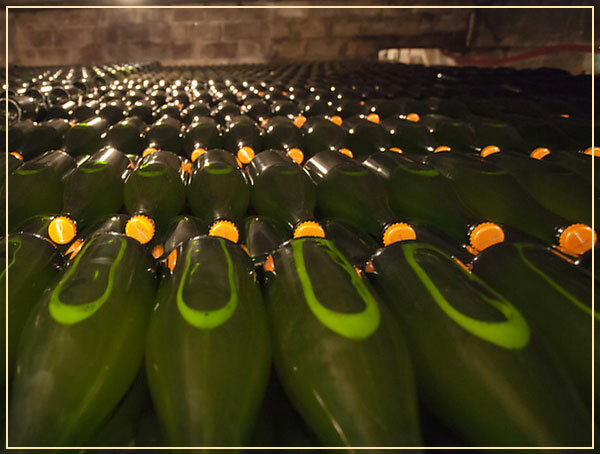 Disgorgement: The purpose of disgorgement is to eliminate the deposit that has collected in the neck of the bottle as a result of the remuage process. The neck of the bottle is plunged into a refrigerating solution at – 25°C. The sediment (in the form of a frozen plug) is then ejected under pressure when the bottle is opened, with minimum loss of wine and pressure. Dosage is the last step before final corking. This is the addition of a small quantity of ‘liqueur de dosage’ to the wine – also known as the ‘liqueur d’expédition’. Dosage liqueur generally contains 500-750 grams of sugar per litre. The quantity added varies according to the style of Champagne. The bottle is sent for corking immediately after dosage, the cork is squeezed into the neck of the bottle, covered with a protective metal cap held in place with a ‘muselet’ (wire cage). The bottle will be washed and dried and labelled. The wine is then returned to the cellar to age in bottle for several months before release.